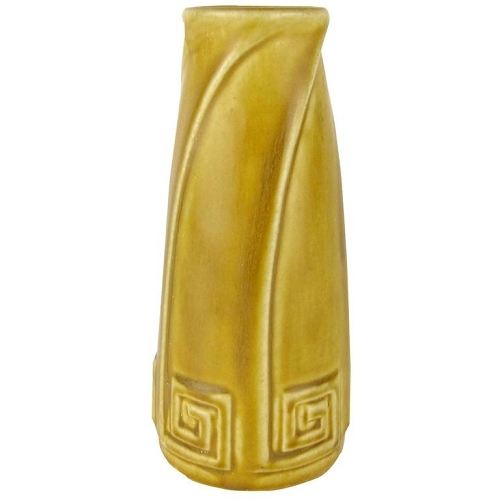 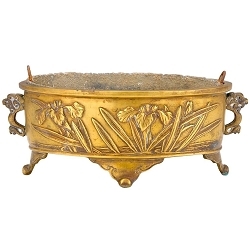 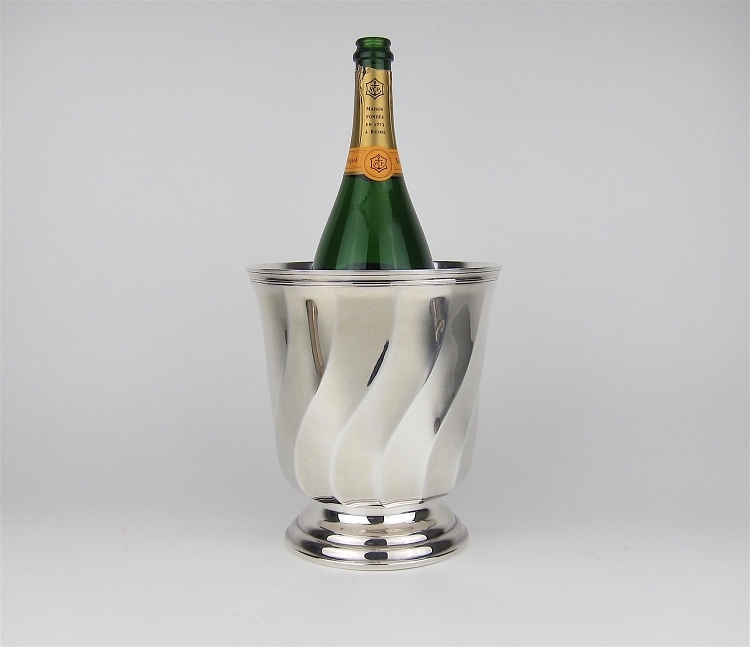 A large French Art Deco magnum-sized champagne cooler from Christofle of Paris. 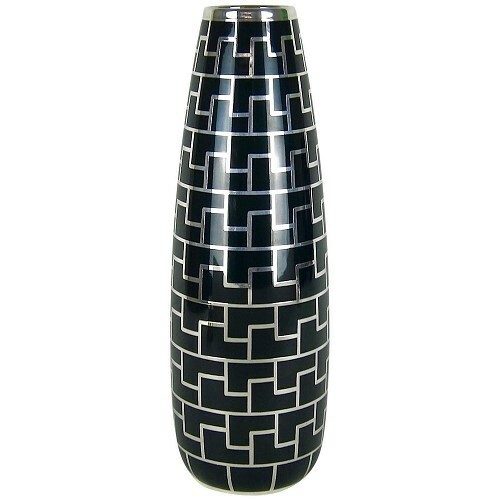 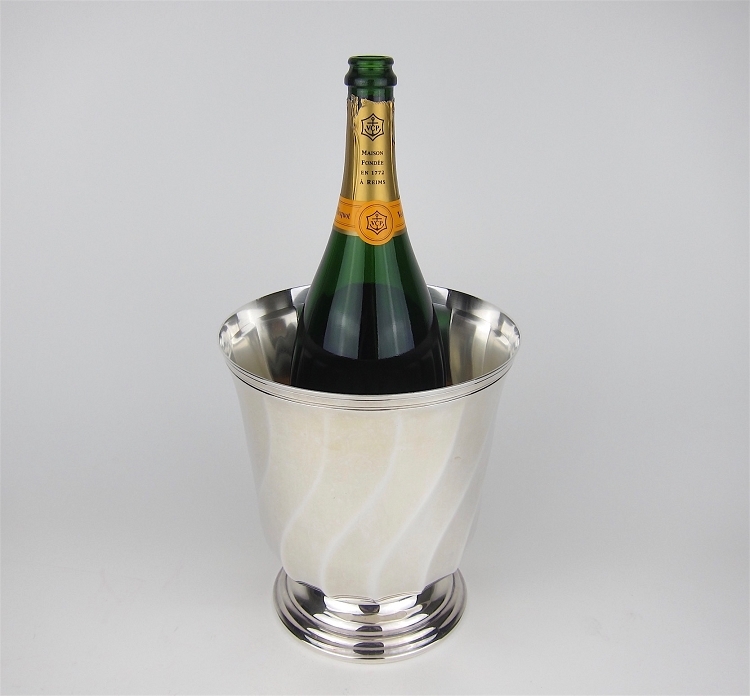 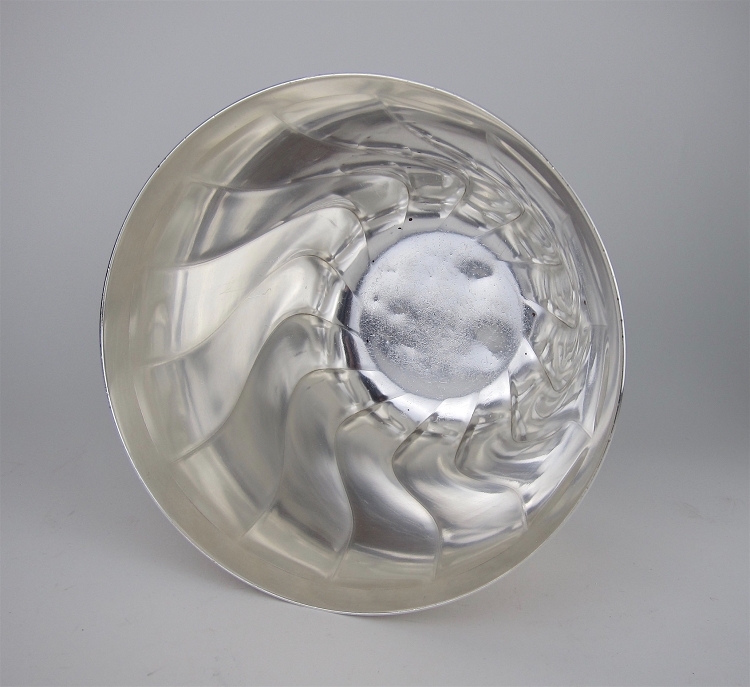 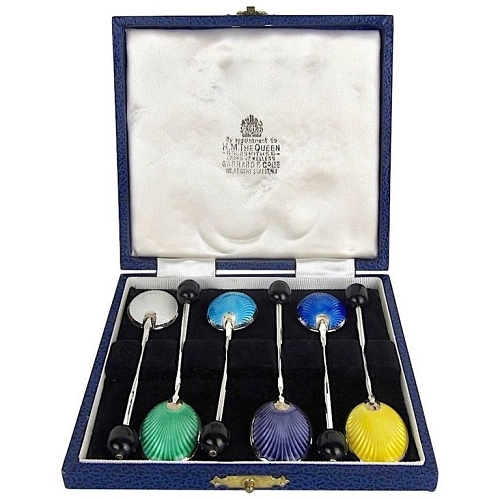 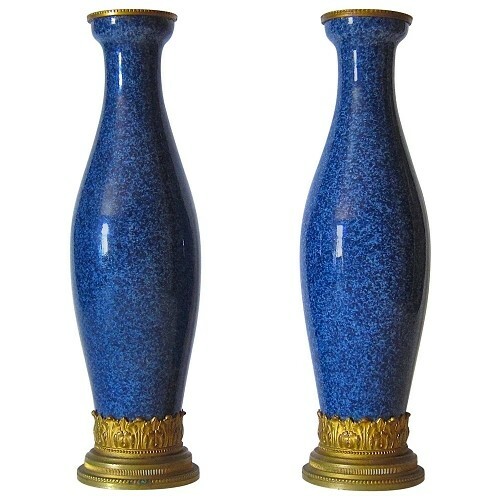 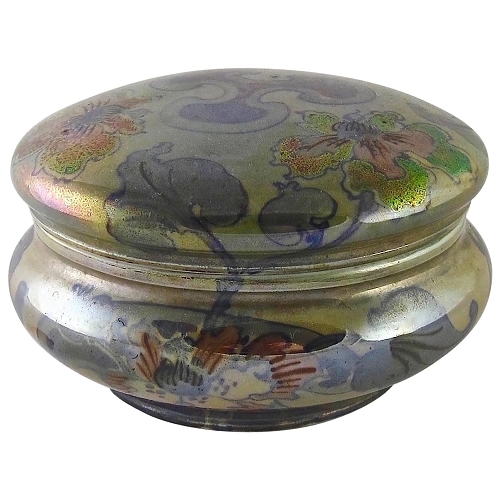 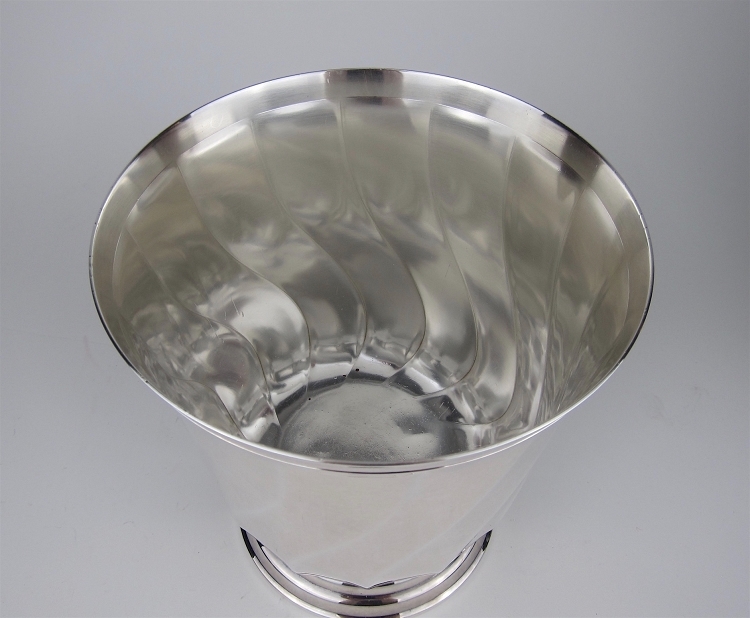 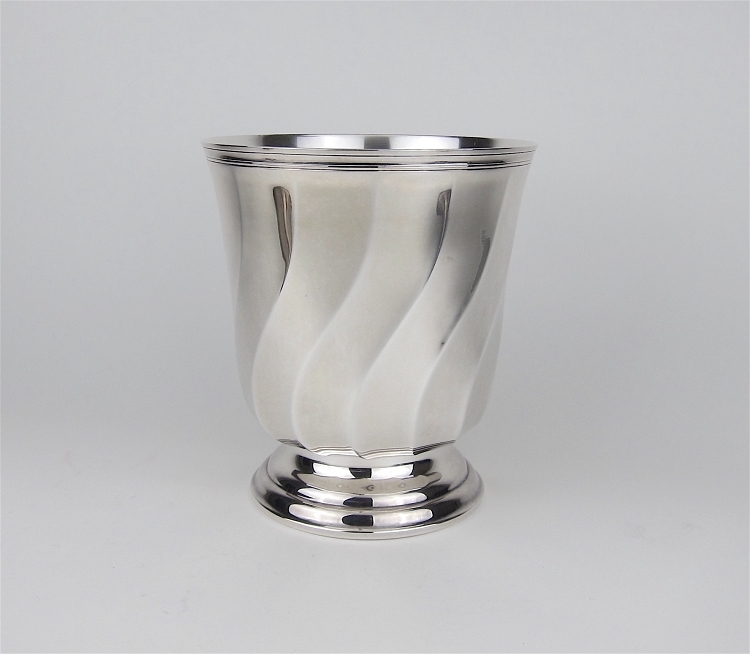 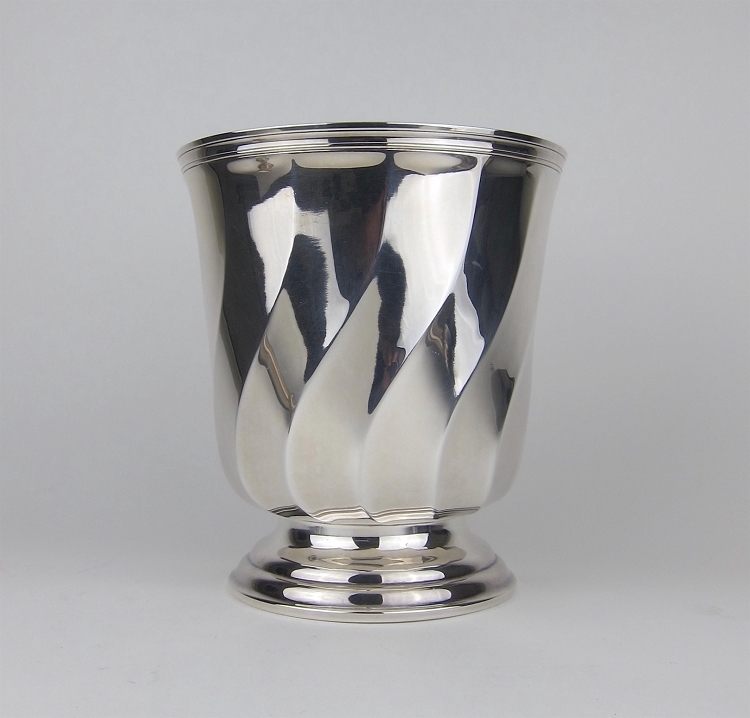 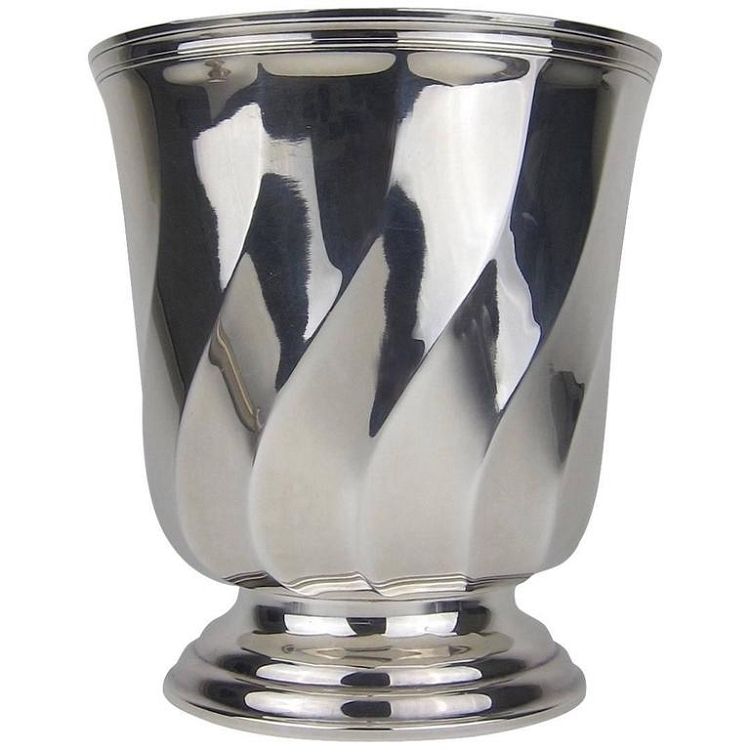 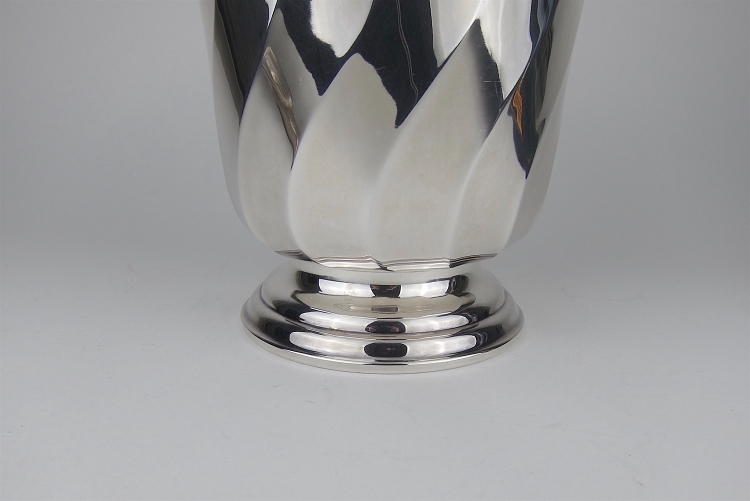 The silver-plated ice bucket features a geometric, wave pattern design resting atop a stepped circular foot This substantial vintage piece measures 9.25 in. 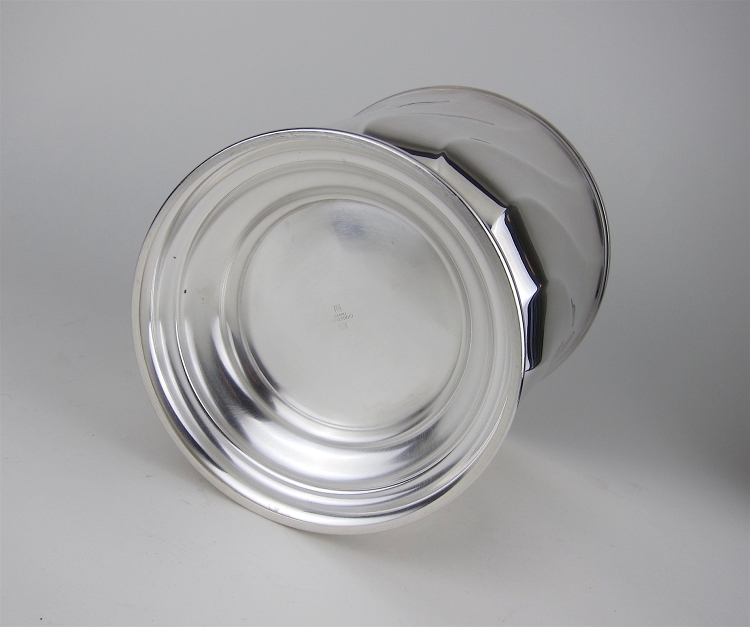 H x 8.25 in. 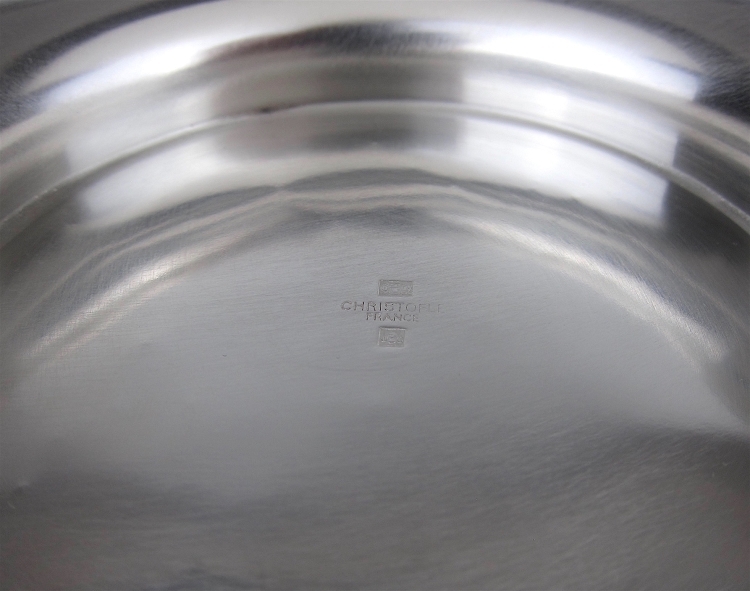 D at rim and is marked underfoot Christofle / France between two of the company's OC marks for Orfèvrerie Christofle. 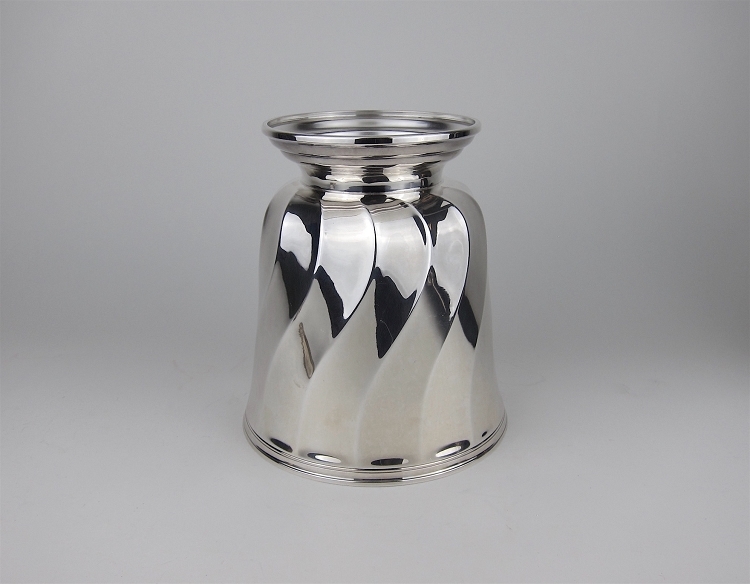 Exterior in very good condition with a few minor scratches and small nicks; the interior shows more wear from use, including small dents where the bottle rests at the base.